Frank Alvin Eboli was born April 1, 1889 in Lucania, Salerno, Italy. His father, Biaggio Eboli, was born in 1867 in Italy. His mother, Genevieve Eboli, was born in 1868 in Italy. His parents married in 1887 in Salerno. They had two children, Frank (b.1889), and John (b.1894). The father was a tailor. In 1894 the father moved to America and settled in New York City. He lived in a traditionally Italian neighborhood of East Harlem at 431 East 116th Street, where he worked as a tailor of women's clothing. After four years the father had saved enough to send for his wife and two sons. In 1898 Frank was nine years old and John was five. After his parents had moved to NYC they had five more children, Maria Concetta (b.1898), Nicolena (b.1902), Antoinette (b.1902), Mamie (b.1905), and Joseph (b.1907). All seven children attended public schools. Frank and his younger brothers John and Joseph all developed interests in art and design. In June of 1907 Frank Eboli, age eighteen, graduated from high school in the Bronx, after which he entered the workforce as a staff artist at an advertising agency. By 1910 he and his brother John worked together as a design team to produce comic illustrations for newspaper advertising. In 1914 Frank Eboli worked as an artist designer for the Robert Gainseler Printing Company in Brooklyn. In 1915 he received U.S. citizenship as a "naturalized alien." On June 5, 1917 Frank A. Eboli reported for draft registration during the Great War. He was twenty-eight years old. He requested deferment to support his mother and father as well as his two youngest siblings. Regardless of this request, he served in the Army and was stationed at Camp Hancock, Georgia. On January 2, 1919 he was honorably discharged at the rank of Corporal. His discharge papers state that he was not sent overseas and that he suffered no disabilities. 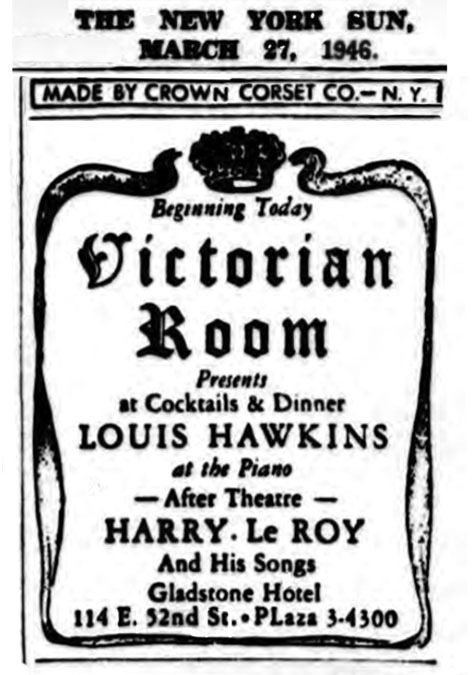 After the war he returned to NYC and resumed his career as a commercial artist. On June 15, 1919 he married Segismunda Cognette in NYC. She was born in 1895 in NYC of Italian ancestry. They moved to 2319 Grand Avenue in the Bronx, where they raised two children Genevieve (b.1921), and Eleanore (b.1927). In 1920 he was listed in the NYC business directory as an "Advertising Artist and Cartoonist." 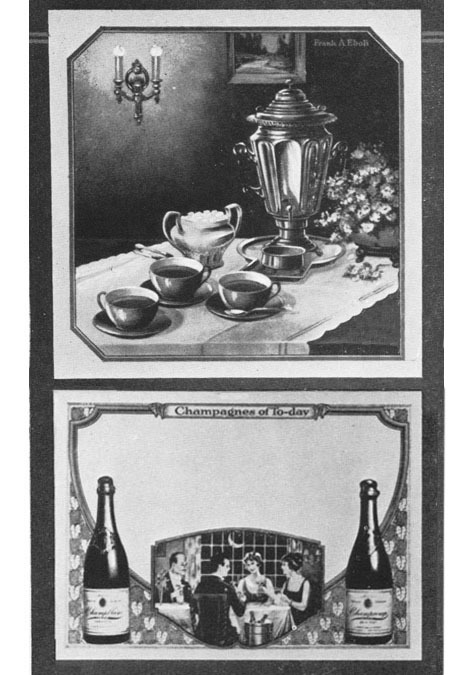 In 1921 he was appointed Art Director at the E.D. Peck Advertising Agency of NYC. 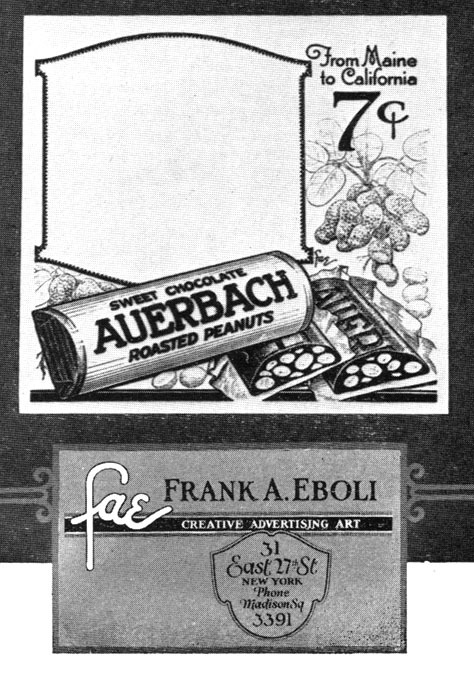 On April 13, 1922 trade journals reported Frank A, Eboli had resigned from E.D. Peck and opened a private art studio with his brother John Eboli. In 1925 the Eboli family lived at 2243 Ryer Avenue in the Bronx. In 1926 his business was listed in a directory of professional graphic artists as the owner of The F.A.E. Art Studio at 31 East 27th Street. By 1940 Frank Eboli and his wife and two daughters lived at 2319 Grand Avenue, where they were joined by his elderly mother, his two unmarried sisters and two unmarried brothers. His youngest brother Joseph worked with him as a staff artist in advertising, but his other brother John had left his art career and found work as a manager of an Italian restaurant in the Bronx. On April 27, 1942 during WWII Frank A. Eboli again reported for draft registration as required by law. He was listed as a fifty-three-year-old veteran, five-six, 150 pounds, with brown eyes, and black hair, and a light complexion. He was not selected for service. In November 9, 1942 the Eboli family moved to 2277 Andrews Avenue in the Bronx. The artist rented a private art studio at 551 Fifth Avenue in Manhattan. 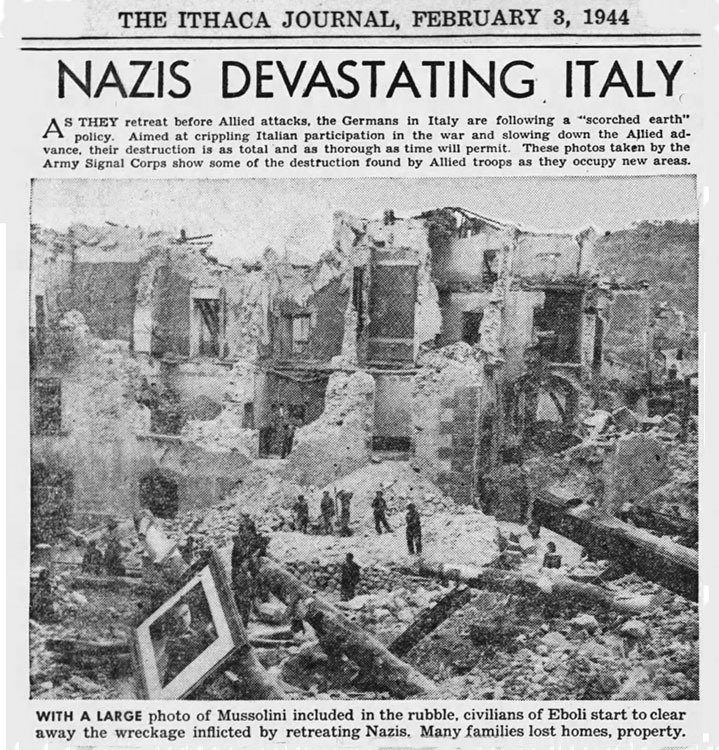 By October of 1943 Allied forces had driven the Nazis out of the Italian town of Eboli, whose devatation was featured in American newspapers and newsreels. In 1946 he was listed in the NYC telephone directory at 114 East 52nd Street, where he owned and operated a photo retouching studio. He continued to work for the next twenty-two years at this photo retouching studio. In 1947 a newly translated novel "Christ Stopped at Eboli" by the Italian author Carlo Levi was a popular best-seller in America. 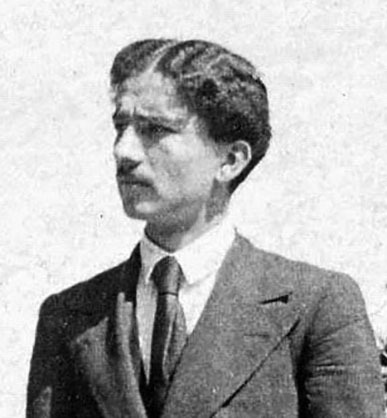 The author recounted his experience during the reign of Mussolini in 1935, when he was a political exile sent to the small village of Lucania. The area was so desolate that townsfolk believed a local legend that Lucania had remained unblessed by the visitation of the Lord Jesus Christ, who stopped at Eboli, but could travel no further towards Lucania. Since the Eboli family came from Lucania, this popular novel may have been of special interest to them. August 14, 1947 The New York Times reported that Frank Eboli of 2277 Andrews Avenue, NY, was selling "two choice business lots in Nassau Shores Long Island. Splendid Investment." 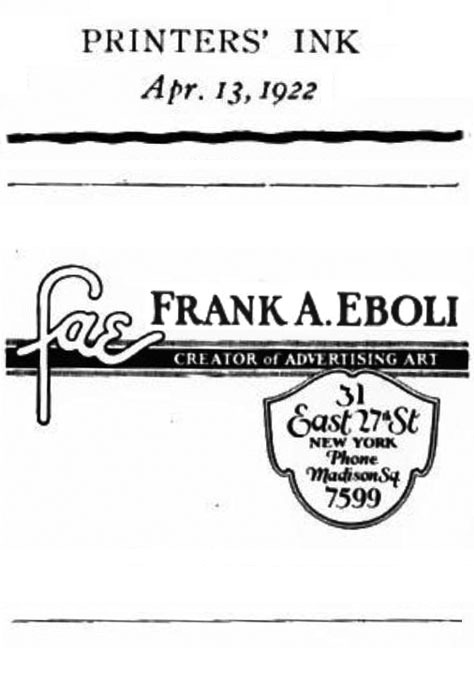 Frank A. Eboli died at age seventy-nine in NYC on August 1, 1968.